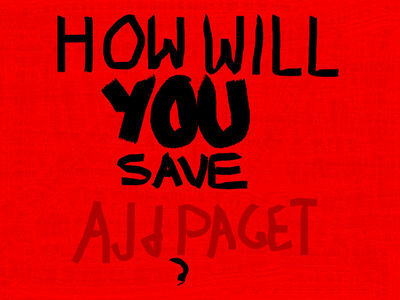 As we all are very aware that us... the CM fans are signing the petitions, writing the letters... but share your ideas on other ideas that could help us save AJ and Paget! I know... ask others fan clubs to support us... this could be happening to them.... we need help!!! Look at this link And help me make a support video!!! And keep spreading the word on all social networks you know! Please help with Kelsje's picture project... it's a really good idea! send pictures saying you want aj and paget!